How many emails are in your inbox right now? I’ll wait………… Time’s up! If you are like many people, your inbox is the repository for all of your emails except for the ones that you actually delete. I attempt to keep under 100 in my inbox and I thought that was doing pretty well. I use colored stars (gmail) and categories (outlook) to try to label the ones that I need to use. I regularly purge 50-75 at a time depending on how much time I have to read and what else is on my calendar. I like the aggregation emails that pull a number of articles about one topic together, and really appreciate the ones that compile the top 5 click-throughs of the week in case I missed some of the best articles. This article How to avoid email overload along with an article in the Chicago Tribune on Sunday 11-25-12 about Inbox Zero prompted me to write about this. I get frantic when I am in meetings all day and have to check my emails on my phone. Just like everyone else, I can gather 200+ emails during the workday. How does one manage all of that? You as a sender have options to help people with the clutter in their inbox by making sure people know what you are sending from the Subject line. Make sure that the information is relevant and concisely written with links to more information should they decide they want to read further. Frequency becomes another issue that can help your readers enjoy your news more readily. Do you send too frequently to be annoying? 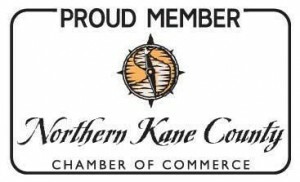 Do you send too infrequently to make your newsletter or email too cumbersome? Only you through the help of your readers feedback will be able to determine the right amount. 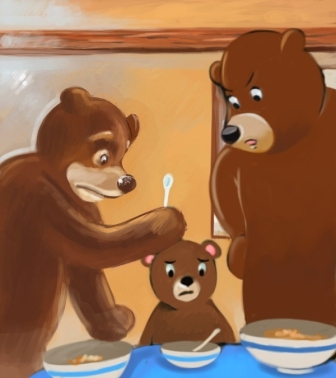 Just like Goldilocks and the three bears – make sure that your “porridge” is just right! Making sure that your words provide the most impact is important too! Explain your thoughts in simple terms and use as few words as possible to make your point. Mark Twain once said: “I would have written that shorter, but I didn’t have the time.” Find the time to make it succinct. 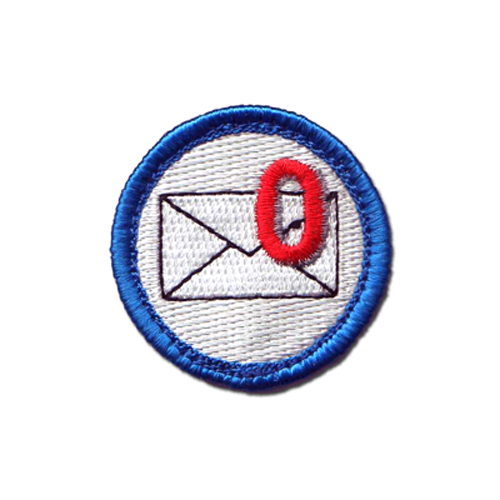 The Inbox Zero project fascinated me when I read about it. The goal is to keep as few emails in your inbox as possible by using a simple system. Gregory Karp wrote about it in the 11-25-12 Chicago Tribune. 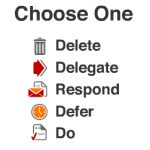 His article provided a synopsis of what you can do to keep you inbox close to Zero emails. Archive – One tip is to archive everything and use the search function of the email system you use. Personally, I put things in folders or categories to make the search a bit easier. Delete as often as possible and unless you have your settings to permanently delete upon closing, you can still retrieve emails from your trash folder. 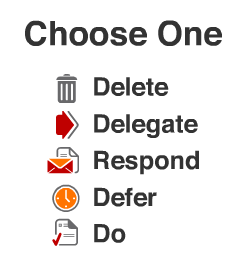 OHIO – only handle it once – add it to the to-do list, forward it, reply, or file it in a folder. Reduce – as suggested in the first article – unsubscribe from newsletters you don’t read. If you want to find out more about the Inbox Zero process, there is a video training here. Previous Previous post: Pay to Promote on Facebook?? ?